It's time for another Insecure Writer's Support Group post. 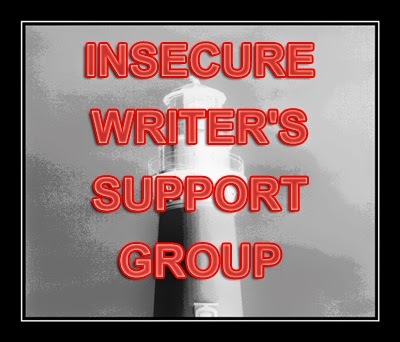 If you don't know what I'm talking about, IWSG is a group started by The Ninja Captain where we hop around to blogs about the universal truths of writers: Insecurity! This month, Ninja Captain Alex has wrangled Kristin Smith, Elsie, Suzanne Furness, and Fundy Blue into being cohosts. Everyone be sure to go thank our cohosts for lending a hand. Now on to the insecurities! (wait, maybe I shouldn't sound so excited). Yeah, that’s what I worry about. And you know what, it’s just like all the other worrying. Turns out that having a book deal just changes your insecurities. 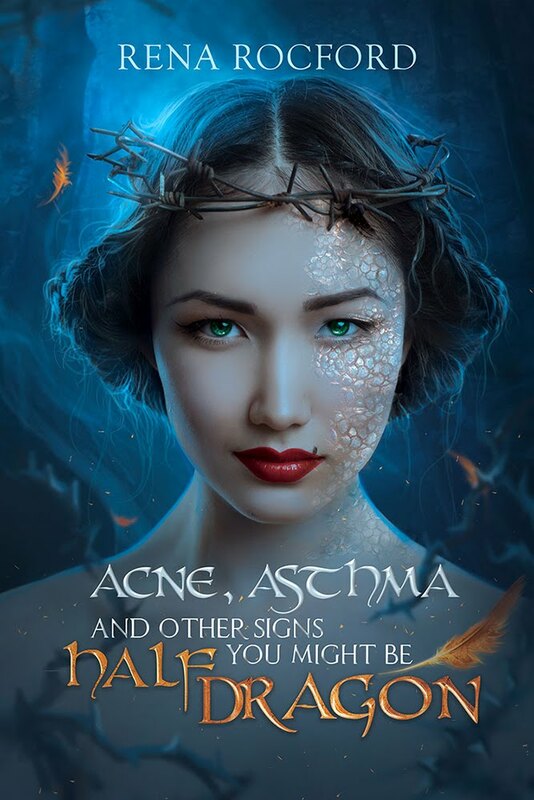 I sort of thought it would banish them, but now I get it. Now I understand what everyone was talking about. Once there is some success, the insecurity morphs from “I’m never going to get anywhere because I’m no good,” to “It’s a fluke that I got this piece of success, and everyone knows it but me.” Right. So there’s that. And, honestly, this insecurity exists for everyone, maybe yours is different, or it wears a cute hat with a bow on it when it tries to convince you that you aren’t that great. Maybe your insecurities sound something more like “who am I to dedicate so much of my life to writing when I could be doing things to help those in need around me.” The point is, it’s always there. There’s always something pulling us from writing, and the key to overcoming the omnipresent insecurity? Ignore it and keep writing. I’m sorry this is a tough love sort of post, but the reality is, we all feel it. We all have insecurities. We all have feelings of inadequacy from time to time. Some people can manage to keep going*, some people can’t. You know what we call the people who keep going? We get it, Rena, but HOW? I was gaming with some friends in college (rolemaster, for those of you interested in my RPG of choice), and we were facing down something really nasty. Our party was low on everything except cracked up ideas (those we had in spades). At one point our GM turns to us and asks, "Aren't you scared?" My buddy responded, "We're too stupid to be scared." Write like that. Maybe not too stupid to be insecure, but too tired or too caught up in the story, or too stubborn (yup, that's me, the mule writer, I get everything done by stubborn refusal to accept other options). I hope that helps. If you feel like shaking your fists at me for not understanding, well, I get that. In about a week or two, I'm sure I'll have a completely different song to sing about the whole insecurity thing, but this one works today. *to be clear, I’m not saying that every scrap of every day has to be filled with writing. I’m saying that everyone has a hard time writing. Some people can push through it. We all feel the crazies, but that’s not enough to stop some people. It’s not enough to stop a lot of people, so get back out there and write. **Yes, I know that plenty of people have all kinds of success well before the million word mark, I just wasn't one of them. I didn't get so much as partial request until I was at 3/4s of a million words. Apparently, I like the scenic route. I'm at that point with my edits (which are due today). I'm all worried i didn't do them well enough etc etc blah blah (even though i think i did the best i could do in the time alloted) and so at some point i just realized i was going to have to own that fear and send them in anyway. It'll either be good enough, or not. In my case, I'm too clueless about writing to be scared. I suspect that the closer I get to finishing my book, the more scared I'll get. Next time I feel frustrated I'm going to remind myself that I'm too stupid to quit. I'm taking your tough talk to heart. I seriously love you and your perspective on writing. Always always you have words of encouragement for me and seem to write exactly what I need to hear. I desperately want to be "too stupid to be scared..." meaning, I want to write because I love it and not care what others might think, because it's not that important! Oh, man... I'd completely forgotten "We're too stupid to be scared", it's been so long. ^_^ But I seem to remember we won that fight. And I never thought about facing the writing fears like that, but it makes a ton of sense. great post! worry is wasted time! I rock the too stubborn quite often. Great post! Yes, taking the scenic route - love it! I've had a few wrong turns along the way and several dead ends but I'm going to keep on going. Happy writing and thanks for your motivating post. Great to be visiting as co-host of IWSG this month. So in short, just keep writing. Not a bad idea. "Too stupid to be scared." I like that. Life would be much simpler. Thanks for the great, fun article. Too stupid to be insecure - love it!